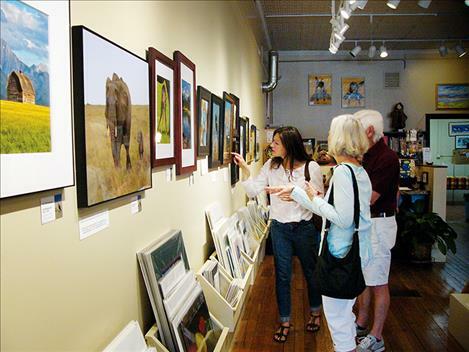 Visitors peruse a wall of photography at last week's artist reception for the "Let Me Tell You My Story" exhibit. 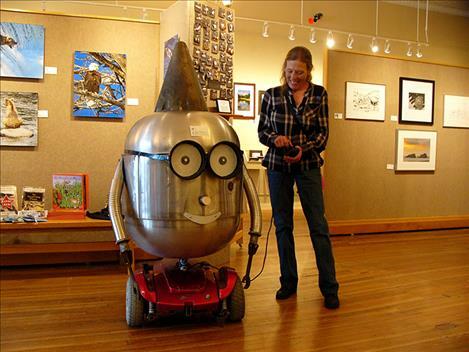 The exhibit is currently on display at the Sandpiper Gallery in Polson. Paint, wood, skulls, photos, and found objects were among the materials that local artists used to express their narratives in the Sandpiper Gallery’s “Let Me Tell You My Story” exhibit. 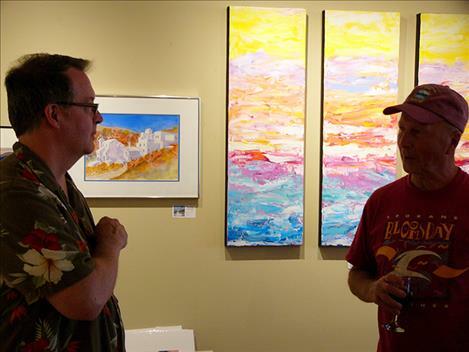 “Every single piece tells a story,” member artist Charlie Fudge said at the reception for the show. Fudge displays his handmade wooden bowls at the gallery. He said that the story of his bowls centers on his collaboration with other artists to design and create the pieces. Each piece is a story of the work and thought that he invests. Fudge said that another important part of his art is the way that it appeals to those who visit the gallery and purchase the art. “They take it home and they can tell their story about it,” he said. Guests at the reception enjoyed refreshments and perused the new installment. 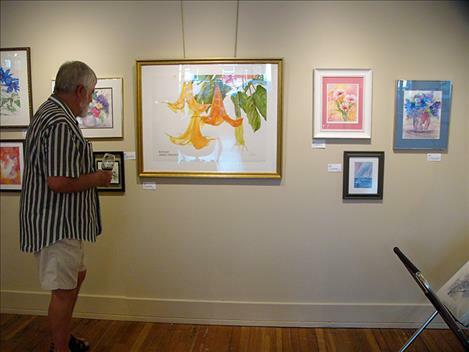 The show features art from past and present members of the Sandpiper Gallery. Currently about 45 artists are members. The gallery is a member-owned cooperative that has been operating since 1971. 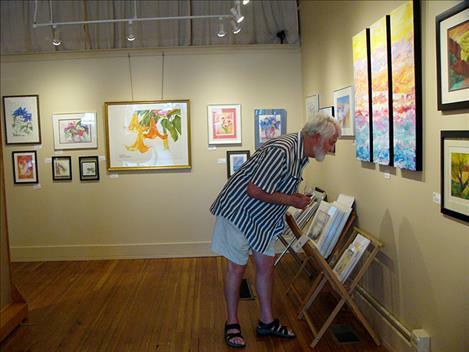 Member artists can display their work for sale. In exchange, members staff the gallery and perform duties to keep it running smoothly. A portion of each sale made goes toward operating expenses. Funds that are not used to run the gallery are put into scholarships for local high school students who plan to pursue art after graduation. Member artist Barb Shrider has been painting since she retired from nursing four years ago. She said that the gallery creates unique opportunities for local artists. “It’s hard for most people to find a venue where they can sell their art,” she said. 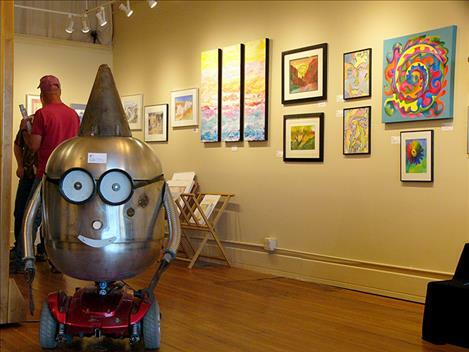 According to Shrider, both locals and visitors to the area purchase art at the gallery. The Sandpiper Gallery installs new exhibits every five weeks. The Friday after the show is installed the gallery holds a reception, which is open to the public. The next exhibit, titled “Where does the Story Begin?” opens July 30.